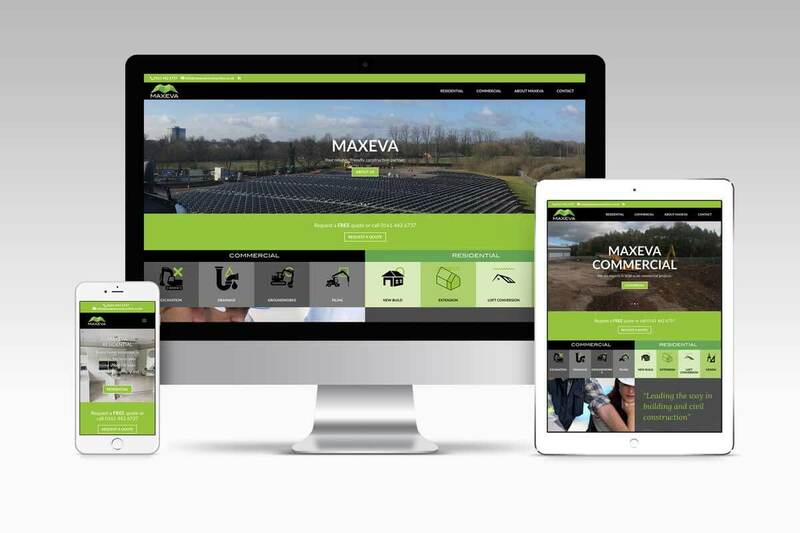 Maxeva Construction are a leading commercial and residential company based in the heart of Stockport, North West England. That puts them in an ideal position to cover work across all parts of the UK. With over 20 years experience in the industry you will be in safe, reliable and, most importantly, professional hands. There team will help and guide you through every phase of your plan. Nettl of Stockport had worked previously with Maxeva Construction on print collateral, so was a logical step for us to produce there first, fully responsive website. They needed to give equal precedence to both residential and commercial construction. The emphasis on the home page was to direct potential residential and commercial clients to the relevant information.